This week we have a video interview with local chef Jon Koobatian. Jon grew up in Dinuba, and went on to be the owner and head chef at Jon’s Bear Club in Reedley. 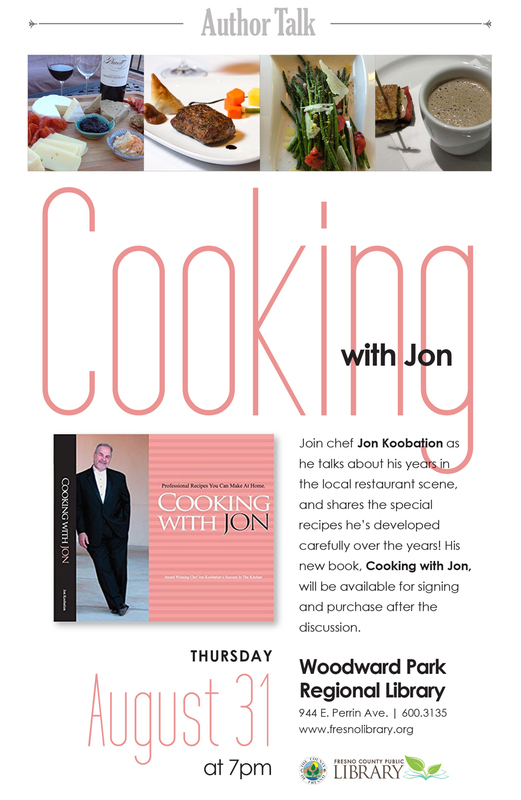 He recently published a cookbook and has been doing some local book events and cooking demonstrations. We will be reviewing Jon’s book in the near future, and giving away a copy, so be sure to watch for that! Info on his upcoming event at Woodward Park Regional Library in Fresno both in the video and below.